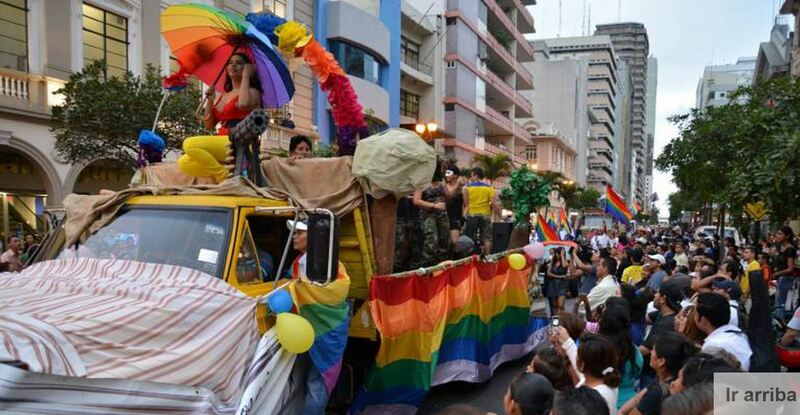 This Saturday the “Pride Parade 2015 Guayas and Sexual Diversity”, which will begin in Malecon Simon Bolivar and av is performed. Olmedo (Bay area), and end at Centennial Park. Silueta X -Coordinator the desfile- association indicates that local and national authorities participate in this conference that will start at 15:00. The event will conclude with a festival of culture LGBTI (Lesbian, Gay, Bisexual, Transgender, Intesexo), in coordination with the Yunta foundation. Silueta X ensures that each year this parade attracts between 7000-10000 people only in Guayaquil, “devoting as the largest annual parade and national GLBT”.